This post contains referral links, which means that we may receive a small commission from people who sign up using the link. As always, the thoughts and opinions expressed here are our own, though your results may vary. Read more in our disclosure policy, and thank you for supporting The Salty Mamas! Okay, so I have told you all about OhmConnect, and how residents of California and some parts of Texas can pay earn credits by saving electricity when they receive alerts that “dirty power plants” are about to turn on. You can read all about how it works here, but Y’ALL. I just HAD to update you. 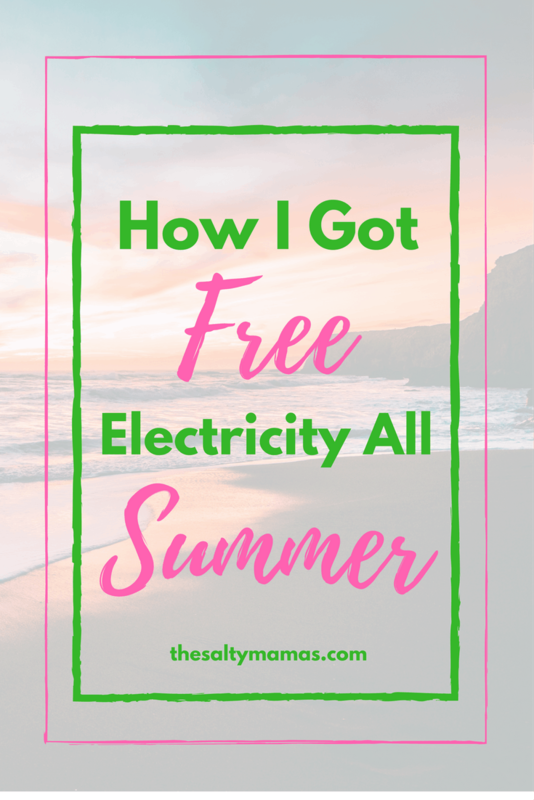 I didn’t pay for power this summer. Not a penny in June, July, August, OR September. And I keep my house at a brisk 72 degrees. And I have OhmConnect to thank for that. I know a few of you Salty Mamas have joined, and you may be thinking I’m a big fat liar since you are pulling in a massive 70 cent payout. I know. I hear you. It so doesn’t feel worth the sweat for 70 cents. But as in all things MicroHustle, you gotta focus on your long game. The more Ohm Hours in a row you hit (they call it a streak), the higher your payout is going to be. And as you level up, your amounts go up again. So if you hit Platinum level on a 60 Ohm Hour streak, you could be talking about making nine times as much each Ohm Hour as you are right now. And if you haven’t sign up already? Head to OhmConnect now to see if you qualify. Now is the PERFECT time to start your streak, while the weather is cooperating and the sacrifice doesn’t seem as big. And by this time next year, you may be flipping the breaker and heading out to sip some margaritas, and proposing a toast to the good people of OhmConnect. And to the Salty Mamas of course. Because obviously. Lady you are QUEEN of the microhustle. I bow down.